Beets seeds were planted using the Board Method. Th seeds are planted then covered with a board.This method keeps the seeds damp and at a constant temperature. The board is removed immediately upon germination. Side stakes are used to re-position the board if accidentally moved. This method is used for most small seed planting in the outdoor garden.I found it improves germination rates considerably. 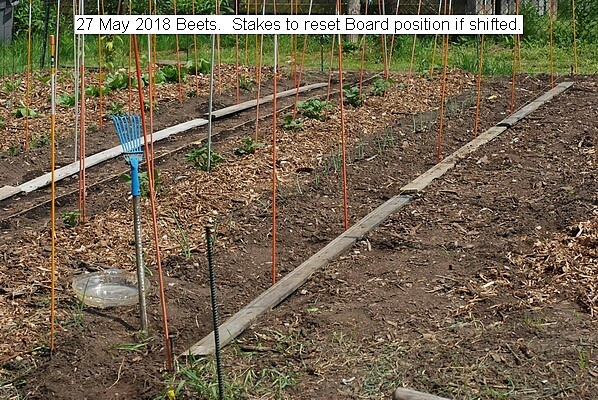 This entry was posted in Uncategorized and tagged 27 May 2018 Beets, 27 May 2018 Beets (Planting Board Method). Bookmark the permalink.